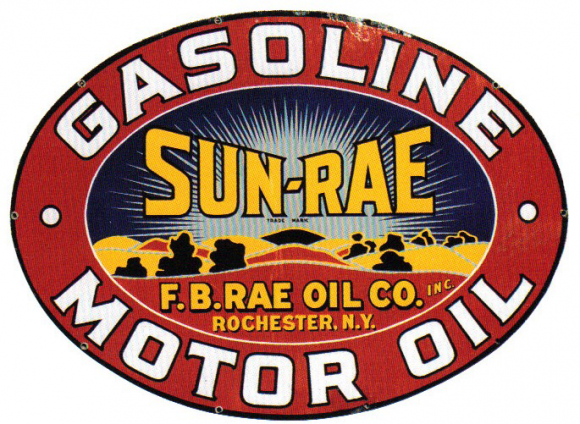 This is an oval Sun-Rae Gasoline porcelain sign. This particular Sun-Rae Gasoline sign is predominantly red and yellow with white and yellow text. It reads, “Sun-Rae, F.B. Rae Oil Co., Inc., Rochester, N.Y., Gasoline, Motor Oil” and features red and yellow hills against a blue and white sky in the center of the sign.